I moscioli are wild mussels that are collected in the stretch of sea that goes from Ancona to Sassi Neri of Sirolo, especially in the Bay of Portonovo. They are rich in Omega 3, minerals and vitamins, essential for the care of our well-being. Each “anconetano” knows and respects its history and culture, just like for babbà in Naples, the cassata in Sicily and the polenta in Veneto. 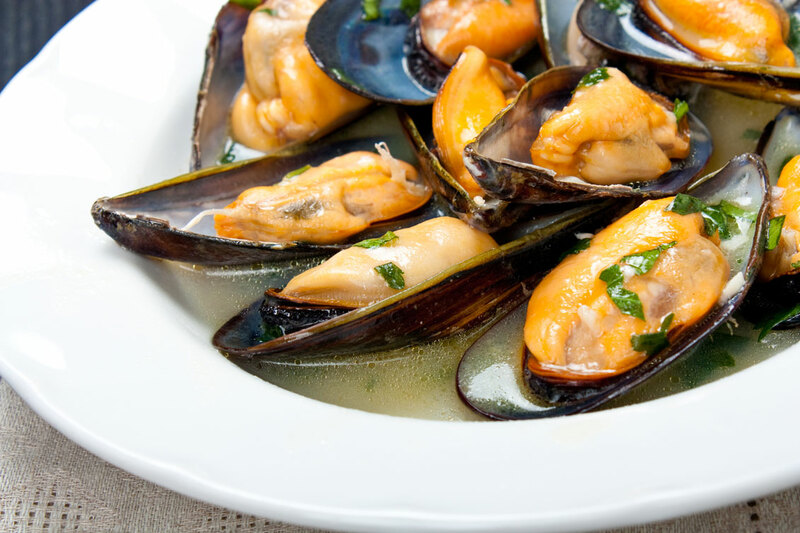 You will notice how much appreciated it is just by looking at the eyes of those who talk about it, maybe before going to dinner and, of course, never call it simply “mussel”. There are different ways and recipes to cook it, all certainly very tasty. You will find it as a sauce for Ciavattoni or spaghetti, baked in the oven with a little ‘fresh parsley or raw sprinkled with lemon: anyhow to be enjoyed by the sea. A great recipe is also cook it “alla marinara”. After having brushed and washed with tap water the mussels opened with pointed blade of a boxcutter, to bring out the water and any grains of sand, stir them and gradually place them in an iron skillet. Then, spray “i moscioli” with lemon juice, sprinkle with chopped parsley and season with salt and pepper. Finally, wet them with plenty of extra-virgen oil and place them in the cooker with the lid. “I moscioli” should cook no more than five minutes, then placed in a dish, seasoned with the sauce and sprinkled again with lemon juice.